For everyone that lives outside the USA you would know Scion models as Toyota and that is fine nothing has changed. However in 2003 Toyota decided to rebrand some of its cars under a brand Scion for the US market, similar to what they did with Lexus in 1989. 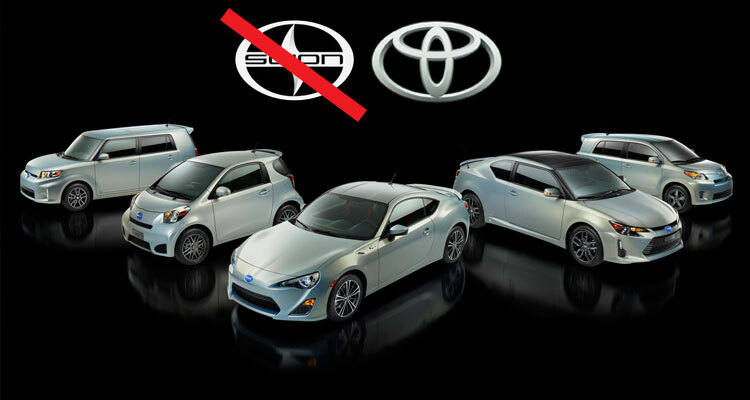 Long story short Toyota decided its better off to scrap Scion brand, and sell everything as Toyota. Scion, established as a separate brand in 2003 as a laboratory to explore new products and processes to attract youth customers, is now transitioning back to the Toyota brand. Scion achieved its goals of developing unique products and processes, and bringing in new, younger customers to Toyota. With more than a million cars sold, 70 percent of Scions were purchased by customers new to Toyota and 50 percent were under 35 years old.